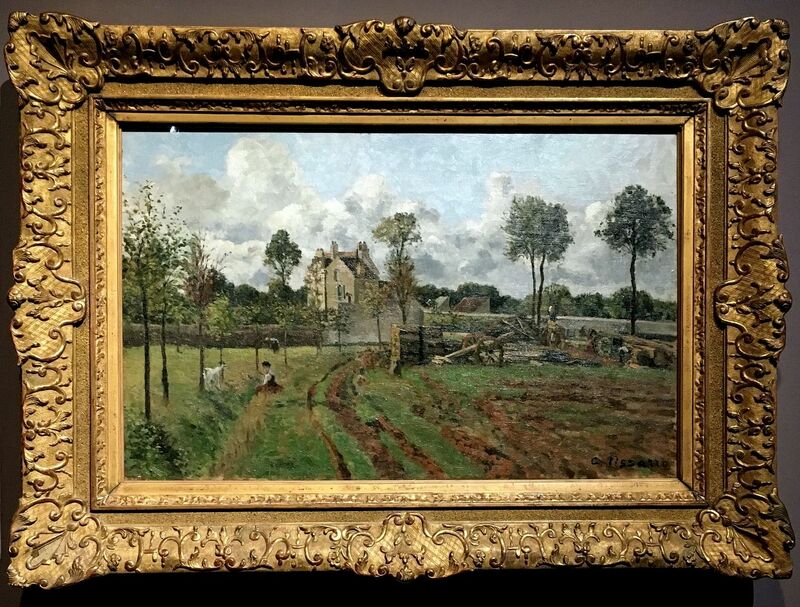 SINGAPORE - More than 60 Impressionist masterpieces from the Musee d'Orsay in Paris will go on show on Thursday (Nov 16) at the Colours Of Impressionism exhibition, part of the Century Of Light showcase at the National Gallery Singapore. Many of these paintings, by the likes of Claude Monet, Edouard Manet and Pierre-Auguste Renoir, revolutionised art history, as their creators strove to capture the changing light of a rapidly modernising world. 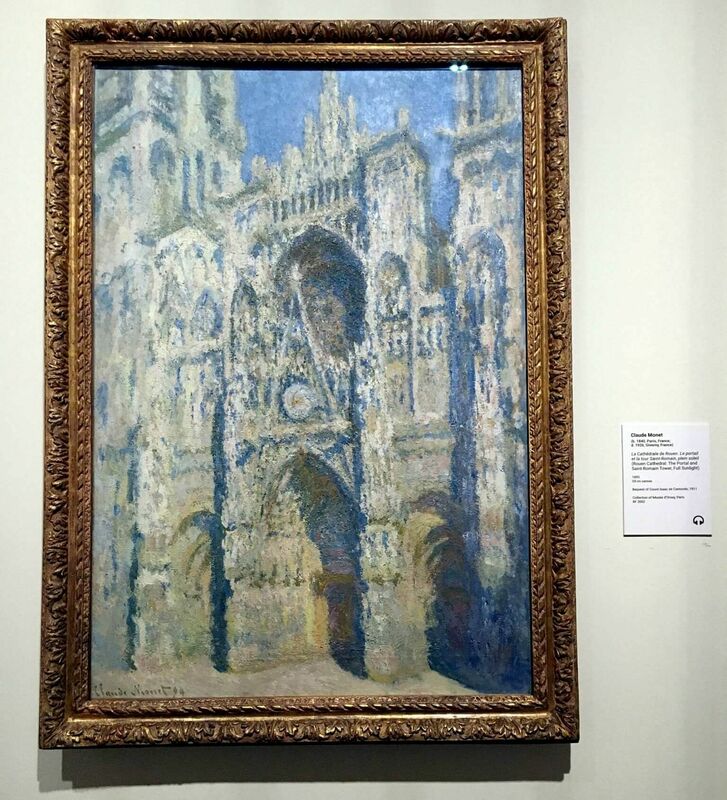 When Monet submitted this painting to the Paris Salon of 1869, it was so radical that the jury rejected it. Its modest subject, a magpie in the snow, was considered inappropriate for a canvas so large - 89cm by 130cm - paintings of such size were reserved for religious, mythological or historical subjects. 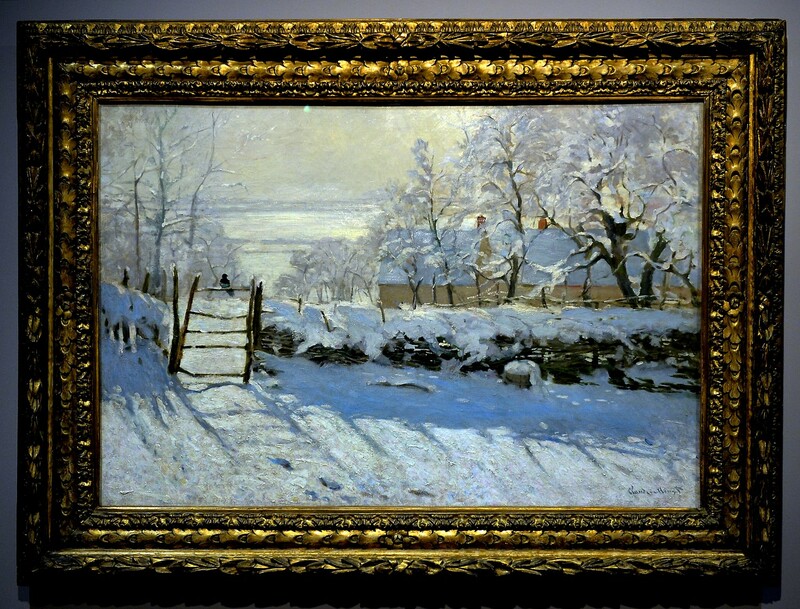 Nor did Monet paint the snow as purely white. He painted it in the colours of the shadows his eye observed falling upon it - blues, yellows, purples, changing as the light changed. Blue would become very important in the Impressionists' rendering of shadows, so much so that a critic dubbed the trend "indigo-mania". An admirer of Spanish painters Diego Velazquez and Francisco de Goya, Manet used the colour black freely. By the middle of the 1800s, manufacturers had improved the quality of black paint so much that it could reflect light, and many followed Manet in his use of the colour. 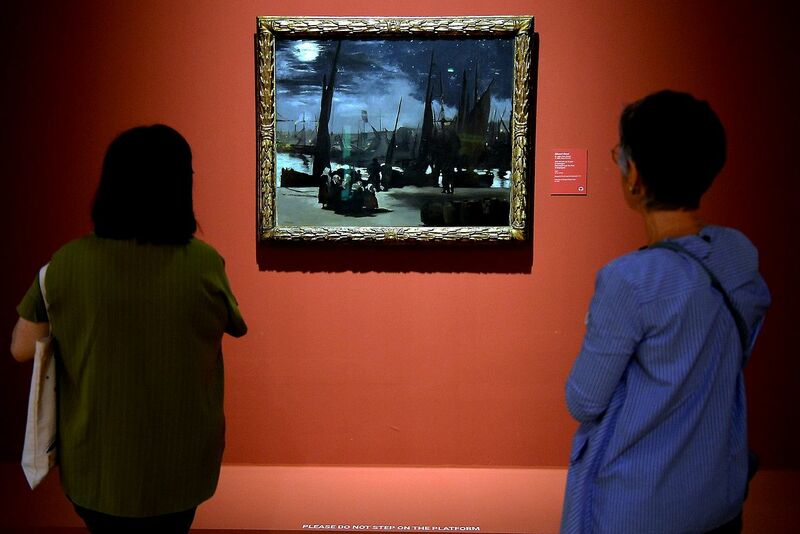 In this nocturnal painting, Manet uses black shades and free brushwork to render the misty port at night, with a group of women in white headdresses awaiting the return of the fishing fleet so they can prepare the catch for market. Morisot, one of the few female Impressionists, enjoyed early success at the Salon, but later chose to throw in her lot with the rebel Impressionists. Married to Manet's brother Eugene, she was notable among the group for her focus on domestic scenes of women and children, instead of urban and street scenes. The Cradle is of her sister Edma and niece Blanche. Unlike the typical maternal devotion of the Renaissance Madonna and child, there is some ambiguity of emotion. The young mother's expression can be read as wistfulness or fatigue, and the infant is separated from her by the veil, which Morisot painted by tinting white with other shades to create the look of transparency. Pissarro favoured painting rural and village life, choosing to live outside of central Paris and depict the daily lives of his neighbours. During the 1870 Franco-Prussian war, he fled his home in Louveciennes for London. Upon returning the year after, he found his house looted and most of his paintings destroyed. Before leaving Louveciennes again, he made several paintings, including this one of a lane beside his house. This bright, luminous painting is in fact about a natural disaster, in which the town where Sisley was living was severely flooded. In it, two men are having a conversation while perched on their boats in front of the wine merchant's shop, which looks on the verge of inundation. The calmness of the scene, with its blue sky and fluffy clouds, belies the devastation the flood would have caused. 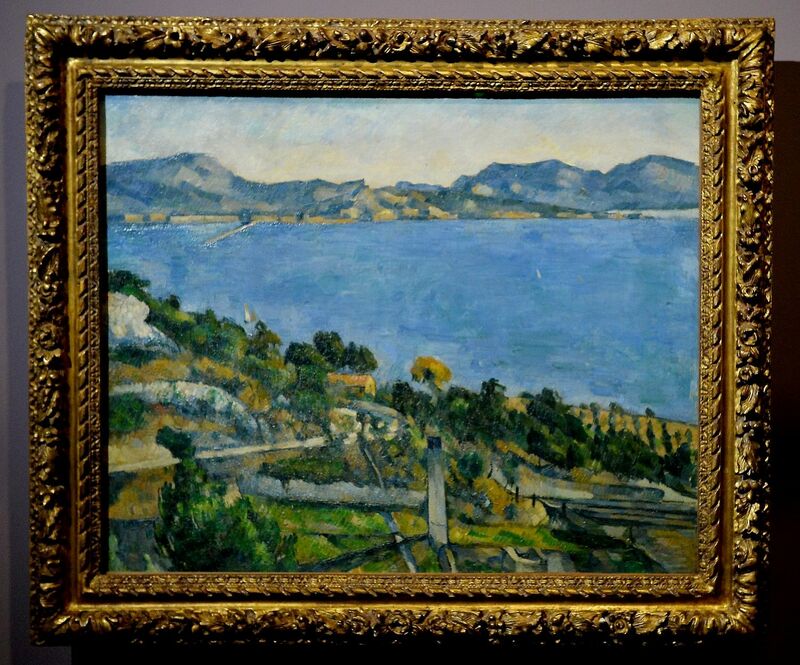 Cezanne was inspired by the sharp light of the Mediterranean coastal village of L'Estaque. He painted this from an elevated spot, such that there is a sense of flattened space in the picture. These experiments with space and depth gesture towards his later role as a bridge between Impressionism and 20th-century modernism, when he would go on to inspire the likes of Cubist artist Pablo Picasso. Monet was obsessed with recording changes in light, and would paint the same thing at different times of the day. This is one of 30 paintings he made of the cathedral at different times of the day, working on several canvases at once and moving from one to the other as the light changed. Signac was one of the the neo-Impressionists, who came a generation after the Impressionists, and championed the scientific theory of colour, which makes use of complementing colours. 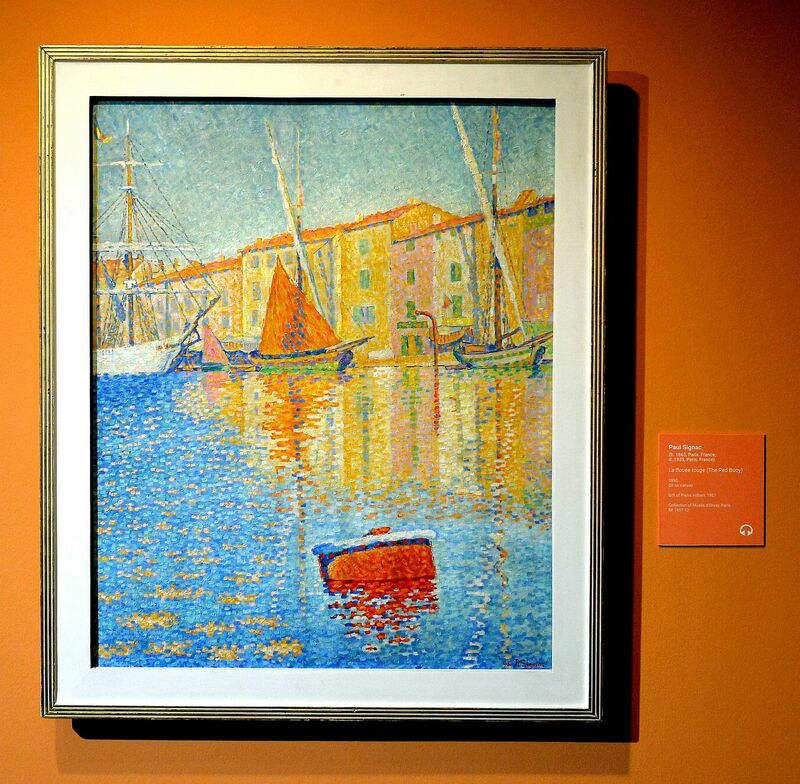 This painting illustrates the Pointillist method of using dots of colour to form an image, which Signac helped to develop alongside Georges Seurat. In it, the blue of the water plays off against its complementary colour orange in the yacht, houses and orange-red buoy. 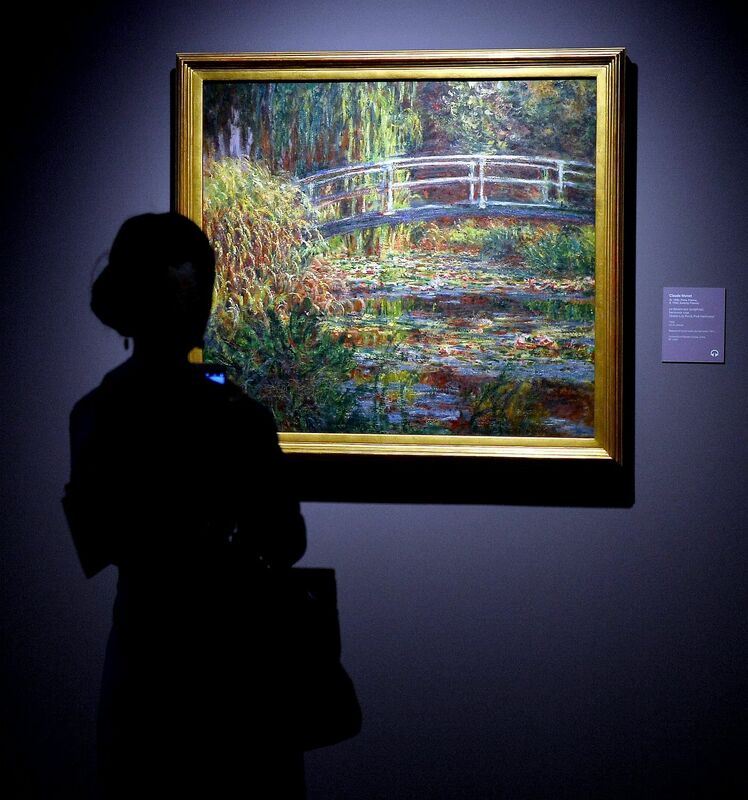 Inspired by the Japanese prints he collected, Monet constructed a pond in his garden at Giverny and filled it with water-lilies, surrounding it with weeping willows, bamboo and a Japanese-style bridge. This is one of 12 paintings he made of the pond from the same vantage point, but under different lighting conditions. The sky is absent and the water seems fused with the profusion of plants in it, but texture emerges from the diversity of his brushstrokes. 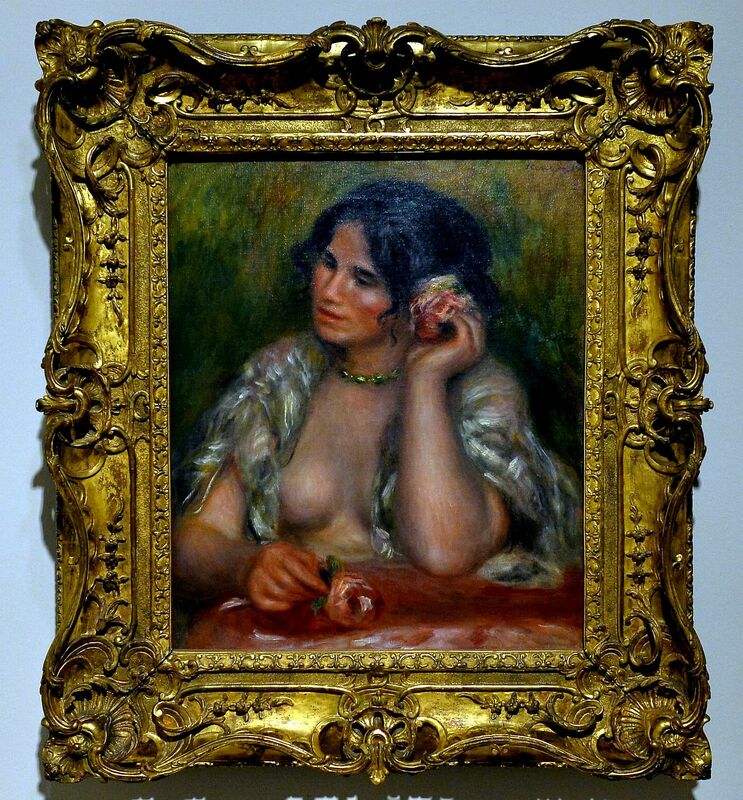 Renoir drew inspiration from Renaissance and Baroque painters such as Titian, Paolo Veronese and Paul Rubens for painting his voluptuous female subjects, but combined this with the Impressionist attention to light. This warm portrait of Renoir's cousin-in-law Gabrielle Renard is characteristic of the artist's late style. His palette is limited to fewer than 10 tones and there is very little colour mixing to ensure the brilliance of the shades on the canvas.